http://agilemanifesto.org/ - The four key values that guide Agile software development practices. http://agilemanifesto.org/principles.html - The twelve supporting principles behind the values of the Agile Manifesto. http://scrumreferencecard.com - A handy 6-page reference downloadable in several different languages including English, Spanish, and Chinese. http://scrummasterchecklist.org/ - A sample list of things a Scrum Master should pay attention to in a typical organization. Downloadable in more than a dozen different languages. http://scrumtrainingseries.com - Follow an animated development team as they learn how to do Scrum in this entertaining e-learning series. At Fearless Agility, we get a lot of questions about how to further the roles and career paths for Agile and Scrum experts. 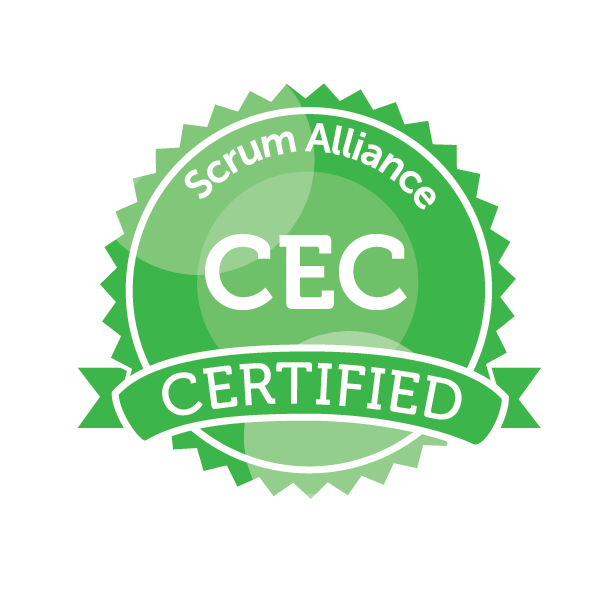 Fortunately, the Scrum Alliance as the certifying body has developed the appropriate training paths for each level of individual contribution. Fearless Agility's workshops provide progress in these paths through our training programs. As you move through the pathway pertinent to you, you will earn Scrum Education Units (SEUs) to gain higher levels of Scrum Alliance certifications and designations. Scrum training and certification fulfill the vision of the Agile manifesto by fostering greater collaboration, productivity, and success among team members.